I don’t give a damn about the plight of outgoing Homeland Security Secretary Kirstjen Nielsen. I don’t believe in hell, but if there is one, there must be a special section reserved for those who implement cruel policies, but leak to the media about how they’ve tried to make them less cruel (Jared and Ivanka Kushner will be sharing a suite there with Nielsen). Nielsen wants us to know she would not go along with breaking the law to promote Trump’s vicious and destructive border policies. But in fact, she helped him break many laws; she just wanted to stop getting caught. It should also be said that despite her spin, she went into her fateful meeting with Trump Sunday night determined to keep her job; he demanded her resignation. So spare me her attempts to depict herself as some kind of whistle-blower, now calling the president “unhinged—as though he’d ever been “hinged,” especially in the four years since he began his racist run for president. Reportedly, she also thought Santa Monica storm trooper Stephen Miller “was an egomaniacal lunatic who hated brown people.” Tell us something we didn’t know, Kirstjen. The most important piece of news in Monday’s onslaught was not Nielsen’s departure, or that of Secret Service director Randolph Alles (whom Trump reportedly calls “Dumbo,” as he has large ears). Yes, reports of a coming purge of Homeland Security, driven by Miller, are terrifying. But even more alarming, CNN revealed yesterday that on his border visit last Friday, Trump told Border Patrol agents to ignore the law and turn away migrants seeking entry even at legal entry points. This is a terrifying new low, for the president and the country. Yet we seem to have lost our capacity for appropriate outrage. The commander in chief instructed law-enforcement officers to break the law. Let that sink in a moment. It was during the same visit, to Calexico, California, in which Trump ridiculously declared, “We’re full, our system’s full, our country’s full—can’t come in! Our country is full, what can you do? We can’t handle anymore, our country is full. Can’t come in, I’m sorry. It’s very simple.” Two sources told CNN Trump followed up by telling Border Patrol agents to say essentially the same thing to those seeking entry. According to those sources, Trump told the agents: “Tell them we don’t have the capacity, he said. If judges give you trouble, say, ‘Sorry, judge, I can’t do it. We don’t have the room.’” When the president left, their superiors appropriately told them to ignore the president and obey the law. What happens when the president disobeys the law, and tries to get others to disobey the law? That was the crux of the Watergate scandal, leading to Richard Nixon’s resignation. And though I disagreed with it, that was also the center of the GOP push to impeach Bill Clinton: He lied under oath about having an affair, and he supposedly told others to lie under oath—and break the law—as well. It’s worth paying attention to how those senators gently chastened the president. Grassley says the folks Trump is targeting will in fact help him “accomplish” his nativist immigration goals. Ernst pleads for “continuity.” To a great extent, while Trump is a law-breaking bully, his position on immigration has become the Republican mainstream. It shouldn’t surprise us: Remember that 2012 GOP presidential candidate—now “moderate” Utah senator—Mitt Romney preached policies that would lead undocumented immigrants to “self-deportation”: that is, policies that would make life in this country so unpleasant, the immigrants would choose to leave. That is essentially what Trump is trying to do at the border, before immigrants, even asylum seekers, come in. By many accounts, Trump has been pushing for even worse policies than those implemented by former Attorney General Jeff Sessions last year: He wants families to be separated not only if they try to enter the country illegally, but even if they’re legal asylum seekers trying to cross at a legal port of entry. Trump also wants undocumented families to be separated even if they are already living in the United States. One senior official told CNN, “He just wants to separate families,” because he believes the cruelty of separation will deter immigrants. Sounds a lot like “self-deportation” to me. 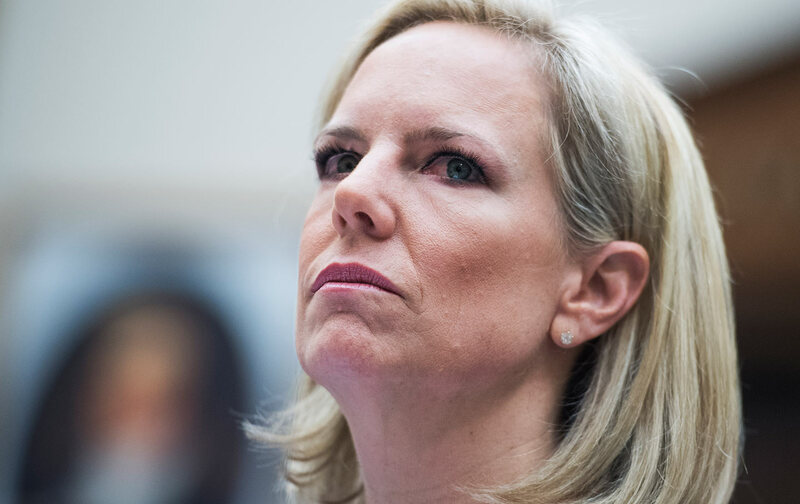 Of course, Trump’s cruel policies aren’t working; border crossings continue to climb nonetheless, and thus the hapless Kirstjen Nielsen is out of a job. Republicans won’t do anything about Trump’s lawlessness, but House Democrats must. I’m a firm believer that the myriad Russia-related investigations, as well as probes of Trump’s finances and possibly illegal business dealings, are not just appropriate but necessary. 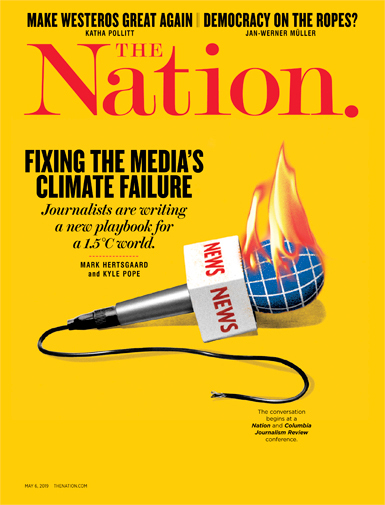 But the president’s attempts to flout immigration law deserve more outrage and scrutiny as well. As I write, House Democrats are grilling Attorney General William Barr about why he is withholding special counsel Robert Mueller’s report on the Russia investigation as well as charges that Trump interfered with that investigation and obstructed justice—broke the law. (He says he will release a “redacted” version “within the week”; who knows what it will look like when he’s through with it.) They also need to summon Nielsen and other DHS officials, past and present, to find out how the president is breaking other laws. Our self-styled “law and order” president, who campaigned promising to enforce immigration laws, has turned lawless. If Congress does nothing, we are no longer a nation of laws.